We offer Chambal Water Meter (NBDM 15-50 for cold water) which is extensively used for water metering in residential and commercial drinking water as well as for industrial self-supply. It has been fabricated using quality raw material, to ensure that it is robust and durable. We are instrumental in offering Chambal Water Meter to our valuable customers. Manufactured by using cutting-edge machinery, these products are known for their high performance and minimum maintenance. Being a quality conscious organization, the optimum quality of the offered meters is maintained at all the times. This is water meter in all size from 0. 5 to 4"
In order to meet excellent quality standards, we are supplying Chambal Water Meters (15mm Water Meter Single Jet). Our organization is engaged in offering a wide range of water meters including Chambal Water Meter (NBWR/1-50-250). It has won widespread recognition from our esteemed clients due to its favorable attributes. It is sturdy and exhibits high resistance to corrosion and environmental factors. We are engaged in offering Chambal Water Meters. - High sensitivity, low pressure loss . Banking on our enriched industry experience, we are able to supply Chambal Water Meter. We are a top-notch organization, engaged in providing Chambal Water Meter. 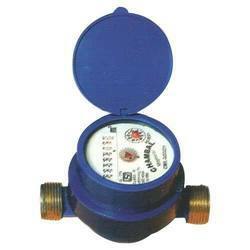 In order to meet excellent quality standards, we are supplying Chambal Magnetic Water Meter. We are an acclaimed name engaged in offering Chambal Brass Water Flow Meter. 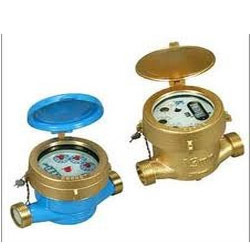 We are amongst the most reputed names in the industry, offering Chambal Water Meters.